Many of the early artists who played at the Syria Mosque stayed in the Hotel Schenley between performances. 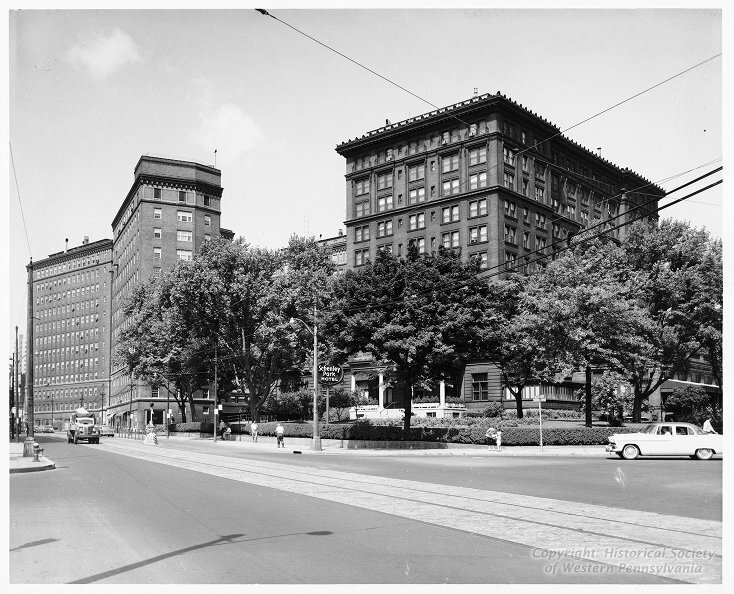 In 1956, the University of Pittsburgh purchased the property and renovated it to serve as a dormitory, renaming it the William Pitt Union. Eleonora Duse, an acclaimed actress and singer in the early 20th century, was the most infamous Syria Mosque performer who stayed at the Hotel Schenley. After allegedly being locked outside the stage doors of the Syria Mosque during a rainstorm, she died April 21st, 1924, in suite 524 of the Hotel Schenley.